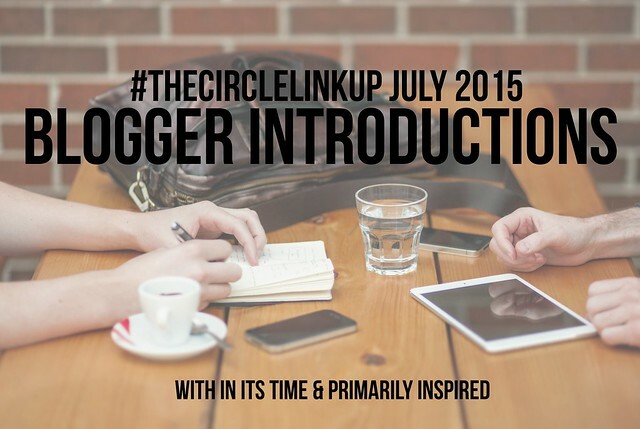 THE CIRCLE JULY 2015 | BLOGGER INTRODUCTIONS. I am sooo excited about this month's theme, friends. SO excited. I know I say this every time, but there's something about an introduction post that reminds me of a party or get together with friends. A chance to chat about our lives, meet new people, and cultivate relationships--all things I hoped that this link-up would do when I started it. So here's to meeting new bloggers and making new friends! But before you link-up, I want to introduce you to this month's co-host. We bonded over our love for teaching and now blogging--this being one of my favorite posts of hers yet. Don't forget to head on over to Kelly's blog to read her introduction post! In case you didn't know this already, I'm Kiki. If you couldn't tell already, I'm a girl who's quite awkward when it comes to selfies (true story, see examples here). I'm also a teacher by day and blogger by night. I have been in the blogging world for five-ish years now and have blogged everything from photography sessions, posts on blogging, and singleness, too. IN ITS TIME is a blog based on the verse in Ecclesiastes 3:11 "For He has made everything beautiful in its time." I believe that His timing is perfect even when I'm far from perfection. And I believe that there's a time and place for everything--blogging included. But my blogging passion and goal is to share. Share my creative passions, share my life, and share my faith. I believe that blogging is a part of me, a chance for me to connect with others who I would otherwise never meet. I'm an introvert and am not a huge fan of sharing my thoughts aloud in front of other people so blogging is my platform and chance to express myself. It's a chance for me to be vulnerable and a chance for me to learn from others, too. Aside from that, I'm a pretty stereotypical middle child with a love for spicy food, writing, snail mail, office supplies, and I call the Pacific Northwest home. And since I'm a huge list-maker, I've decided to finish off my introduction with a little list of some of my favorites and other traits about myself. Let me know if we have anything in common! Favorite food: Thai and Mexican! Beach or forest? Both! Beach vacations and forest day trips for hiking. Quirk: I love to organize and clean? Extrovert or introvert? Introvert all the way! Now it's your turn! Who are you? What do you blog about? What are your pet peeves or favorite things in the whole wide world? 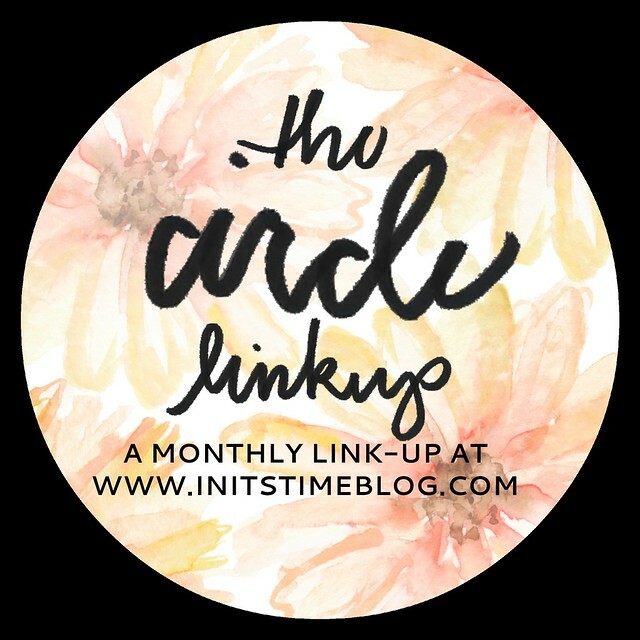 If you'd like to share, grab a button, add your link below and share your post with the hashtag #thecirclelinkup! The next link-up will be a month from now on Wednesday, August 19th. My co-host and I will share our Summer Highlights--a chance to chat about what we did this summer, what we hope to squeeze in before Fall, and what we wished we could have done, too. Basically, we're talking ALLLL about summer. We'll see you then! Love this intro you pretty lady! Our hobbies are so similar! :) I love that! Binge watching tv shows is totally a thing! I haven't seen Parenthood at all yet though, and I have been wanting to! I really enjoyed your intro and I loved the list of things about you! I always think those are super interesting. It was so nice to learn more about you! I'm with you - I am also a bit of an introvert! I also love to make lists. My favorite holiday is Thanksgiving too! Not many people say that one! My birthday is right around then (and sometimes falls on it) so how can you not love it?? Fun theme this month! HELLLO!!!!! :) So far I've read your post and I clicked over to Amanda's blog (who reminded me that it was time for the circle again)!!! I loved both of them! yeah lefties! also, grammar :) I've never actually seen 24, but I loooove Parenthood. Thanks for hosting! Hope you're having a great week. Yay, love this!! I am going to be sharing mine tomorrow, and I'm so excited! I love introduction-type posts. There's so many things in your intro that I was like, "oh yea, me too!" and "yep, knew that!" and even some "ohhh, didn't know that about kiki!". Love learning about you, Kiki! Parenthood is also my favorite show...so sad it's not coming back. I'm still upset about that! Also, so glad you're in support of binge-watching TV shows. Parenthood is a great one to binge-watch, that's for sure! I completely agree with you--I think it's important for bloggers to really define who they are as a person and blogger every now and then. It's a great way to introduce yourself to new bloggers AND a great way to really hone on what you love about yourself/your blog! I can't wait to read your post!!! Also, I love that we have so much in common. Baking, writing, list-making introverts unite!!! So many things in common! One of the things I love most about blogging is that there are so many similarities to be found between bloggers--and I love that you're an introvert who loves making lists and celebrating Thanksgiving (it's the best!!). Um, you need to watch 24. It's NOTHING like Parenthood, but it's still one of my faves. Yay, I can't wait to read your post! I'm with you, introduction posts are the best. Like you said, you learn new facts and you're also reminded of little things that get pushed to the back of your mind. :) That, and it was a great refresher post for me! Also, let's just talk Parenthood for a second. I keep hoping it'll magically come back and I think I'm going to go in major Braverman withdrawal come this fall when all of the other shows return with new seasons! Thanks, Susannah! I can't wait to read your post!! I know!!! I am already experiencing withdrawals, but I know it'll get worse when the fall rolls around and new shows are running its old Thursday night spot. Boo! That makes PERFECT sense! I couldn't have said it better. :) I feel like there's always something you can learn from or about another blogger, especially when it comes to the little things or the quirks that you wouldn't see or get to talking about like you do in person! And I love that we're both introverted lefties who take awkward selfies. The world needs more of them!! Also, super awkward selfie takers unite. So glad to know I'm not the only one! Agreed. You'll have to let me know if you ever find a TV show to (sort of) replace its spot! Haha great use of selfies :) I think it is great that your main blogging passion is to share, even though you're an introvert. That's kinda me too. I think we read things into people online and sometimes our typing voice is a little different than our conversational voice. For example, I never shout in the middle of talking to someone or insert disclaimers as I talk. BUT...When they aren't going to respond immediately, I try to cover all the bases online. Ooh, I love what you said about our typing voices being different than our actual speaking/conversational voice. I think it's hard for me to convey excitement and happiness through typing so I'll add way more exclamation points/caps than I would ever use in real life (i.e. loud excited talking). Wow, I'm super impressed that you took notes left-handed in college. I'm pretty sure I would give up after a few moments out of frustration! :) I used to wish I was right-handed as a kid because none of the desks at school and scissors worked for me! I completely understand when it comes to table manners and cell phone use. My family makes it a big priority to put cell phones down while we're sharing a meal and it shocks me to see people at restaurants just sitting in silence together on their devices. It's crazy to see that people do that nowadays! Yes yes and yes! I know we've established this before but we are basically twins... I am all about those neutrals!! Mexican food is basically a staple in my family!! I super love 24!! I never saw any of the new bit that they made but the original 24 I loved! My guilty pleasure is definitely binge watching tv shows.... There may have been a saturday or two where we didn't get off the couch at all (well except for food)... I'm jealous that you are a lefty!! My brother is too and I have always wanted to be... for some reason it just seems so cool!! I enjoy cleaning too! I think that it's the instant gratification. I can't say that the newer 24 show was that great in comparison to the original series, but because I love Jack, it was a good show to watch--maybe the next show you binge-watch? If you do, you'll have to let me know how you like it! I love your awkward selfies. I can't take a proper selfie either. And am also a total introvert. i love the weirdness of this because awkward is amazing! i also love to organize and clean! And yeah, I've always been afraid of fire--it took me years to hold a sparkler on the 4th of July!